Dawa Tarchin Phillips, a Founding Board Member of the International Mindfulness Teachers Association (IMTA) and a senior mindfulness teacher and mindful leader, is looking ahead to 2018 as he accepts his new role as president for the IMTA. Here's what he had to say about the new association and what the future holds for the IMTA. We launched the IMTA to provide mindfulness teachers around the world with the first independent global teaching association in the field. 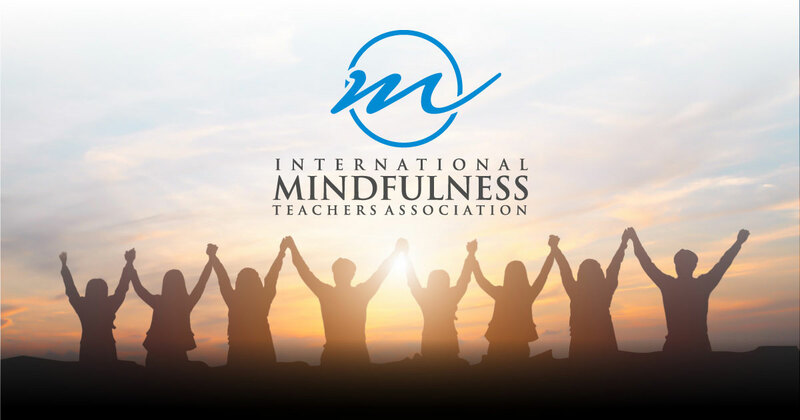 The IMTA is the first independent professional association that is specifically designed to help professionalize the mindfulness field and the mindfulness teaching profession. What is so unique about the IMTA is that it is a labor of love that has come out of a collaboration of leading teaching professionals in the field. I would like to share a bit of background with you that will shed light on why we launched this association now; and why it is evolving in phases. And as always, we encourage you to send us questions at membership@imta.org. There's a growing demand for mindfulness in the world. In the 70's and early 80's work by global leaders in the mindfulness field led to a more evidence-based approach to practice. Today, with Facebook, General Mills, Google, LinkedIn, Intel and other organizations using mindfulness-based practices, more people than ever before are aware of what mindfulness can do for an individual’s well-being, health, and performance. We are hearing from mindfulness leaders all around the world. Increasingly mindfulness teachers and training programs are popping up all over the world, but they have no way to distinguish their qualifications as being best in the field. It's become more difficult for the general public and hiring managers to discern which of the available mindfulness teachers have the type of quality, depth, and experience they need to ensure you receive the most qualified care, training, and guidance. Because various types of credentialing standards are being formed individually every time a new school launches, there is no universal baseline as to what teacher training program qualifications are needed. Accredited training programs need to be able to certify that graduating teachers can deliver the most qualified care, training and guidance on an international scale. Over the past three years, the founding board of directors has worked diligently to analyze the leading mindfulness programs that we are aware of to figure out how to make global standards available. The founding members of the Board include Life Balance Institute's Phillip Moffitt, UCLA MARC's Diana Winston, and me. We are all active mindfulness teachers with decades of experience. Our advisory board consists of many of the senior teachers and luminaires in this field. They come from all walks of life from medicine and education to research, creative and other industries. This collection represents experts in the field that have done significant work in generating evidence-based mindfulness practices that help us with our cognitive, social and emotional well-being. Together we developed a mission and vision as well as a 200-hour guideline for content and training standards. As a result, the guidelines can act as a torchbearer for teachers and training programs to allow everyone to aim for actually making the best possible practices and the best possible instruction available to the general public. A 500-hour set of guidelines for content and training standards is also planned for the future. Differentiating among Mindfulness Teachers: Credentialing mindfulness teachers that have demonstrated proficiency in understanding and practice experience and teaching experience of these mindfulness practices. Hiring Qualified Teachers: Providing a geographically searchable online directory so that hiring managers and the general public can find a qualified teacher, and certified teachers can promote their practice. Distinguishing among Teacher Training Programs: Accrediting teacher training programs around the world and making sure those teacher training programs are run by qualified teachers and have a thorough curriculum that helps teachers develop the kind of depth and understanding and experience that will make them into qualified guides in their own right. We are just getting started — the IMTA has already identified about a half dozen programs that stand ready to be accredited. Many of the guiding teachers within these programs possess the training, depth of experience, and practice to qualify for IMTA certification. Represent the best thinking and the best practices of the mindfulness teaching profession – one that will serve many different institutions around the world. Help teachers stay accountable and adhere to a more ethical and professional code of conduct and be engaged in continuing education. Provide feedback to the global market that's accelerating around mindfulness. Since we've launched the association, we continue to grow and aim to keep improving the community, so it becomes a central hub for the mindfulness teaching profession. Members can sign in or create their IMTA member account and join the discussion here. Post public content to your feed and see your connections' posts here, similar to Facebook. Update your personal and professional information, upload photos, and more! Search by member name, select a country, or use the Advanced Search feature to find Certified Mindfulness Teachers based on IMTA certification or accreditation. View your message inbox, or compose a new private message to send to others within the IMTA Member Community. We invite organizations or individuals that are aspiring for credentialing to join the IMTA as members. And as always, we encourage you to send us questions at membership@imta.org.